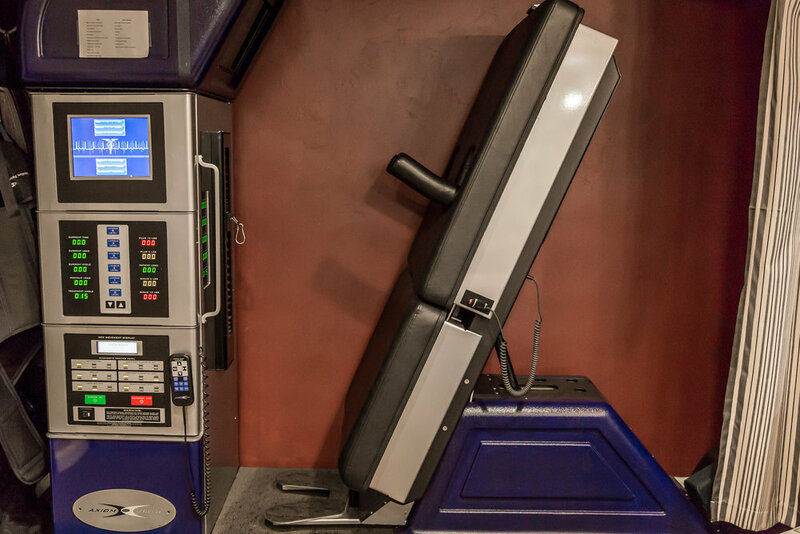 We feature an incredible machine that helps our clients with troubling disk issues. The DRX9000 seen here is fantastic at applying negative pressure on the spine and treating the cause of your spinal pain. We offer in-house X-Rays as well so your entire treatment process can take place in our office... no need to make additional appointments! We want you to go through life with mobility and ease. If you are interested in learning more about our treatment utilizing this amazing piece of equipment, please click the button below or call us anytime!